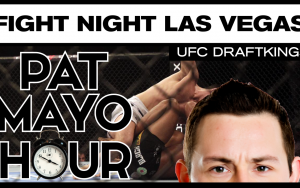 Pat Mayo and Fight Network’s Cody Saftic go fight-by-fight discussing their DFS MMA DraftKings picks for UFC Fight Night Vegas from Las Vegas, Nevada on May 29, 2016. The guys discuss the value differences between DraftKings Pricing and Vegas Odds, which fighters to target for your DFS lineups and the best bets to get a quick finish. Chris Meaney is joined by Paul Shaughnessy, producer and co-host of FIGHT Network’s Bookie Beatdown to break down UFC 198: Werdum vs. Miocic from Curitaba, Brazil. Paul delivers the goods, giving you his favorite GPP plays of the week, sure to deliver quick knockouts and fast submissions to your tournament lineup. Pat Mayo and Fight Network’s Cody Saftic go fight-by-fight discussing their DFS MMA DraftKings picks for UFC Rotterdam from Rotterdam, Netherlands on May 8, 2016. The guys discuss the value differences between DraftKings Pricing and Vegas Odds, which fighters to target for your DFS lineups and the best bets to get a quick finish. Chris Meaney is joined by Paul Shaughnessy, producer and co-host of FIGHT Network’s Bookie Beatdown to break down UFC 197: Jones vs. Saint Preux from Las Vegas. 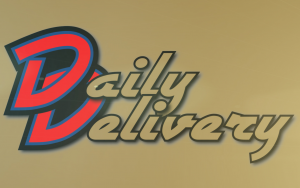 Paul delivers the DFS MMA goods, giving you his favorite GPP plays of the week, sure to deliver quick knockouts and fast submissions to your tournament lineup. Pat Mayo and Fight Network’s Cody Saftic go fight-by-fight discussing their DFS MMA DraftKings picks for UFC 197 from Las Vegas, Nevada on April 23, 2016. The guys discuss the value differences between DraftKings Pricing and Vegas Odds, which fighters to target for your DFS lineups and the best bets to get a quick finish. Plus, A discussion about Conor McGregor’s future in the UFC. 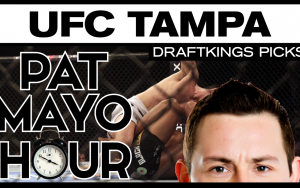 Pat Mayo and Fight Network’s Cody Saftic go fight-by-fight discussing their DFS MMA DraftKings picks for UFC Tampa from Tampa Bay, Florida on April 16, 2016. The guys discuss the value differences between DraftKings Pricing and Vegas Odds, which fighters to target for your DFS lineups and the best bets to get a quick finish. Chris Meaney is joined by Cody Saftic of FIGHT Network’s Bookie Beatdown to break down UFC on FOX 19; Teixeira vs. Evans from Tampa, Florida. Cody delivers the goods, giving you his favorite GPP plays of the week, sure to deliver quick knockouts and fast submissions to your tournament lineup. 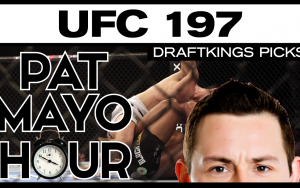 Pat Mayo and Fight Network’s Cody Saftic go fight-by-fight discussing their DFS MMA picks for UFC Zagreb from Zagreb, Croatia on DraftKings for April 10, 2016. The guys discuss the value differences between each site, which fighters to target for your DFS lineups and the best bets to get a quick finish.